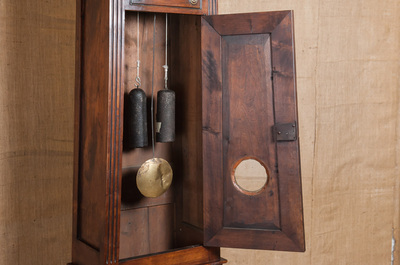 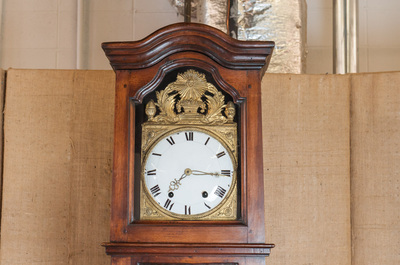 Antique French Directoire 8-day comtoise clock. 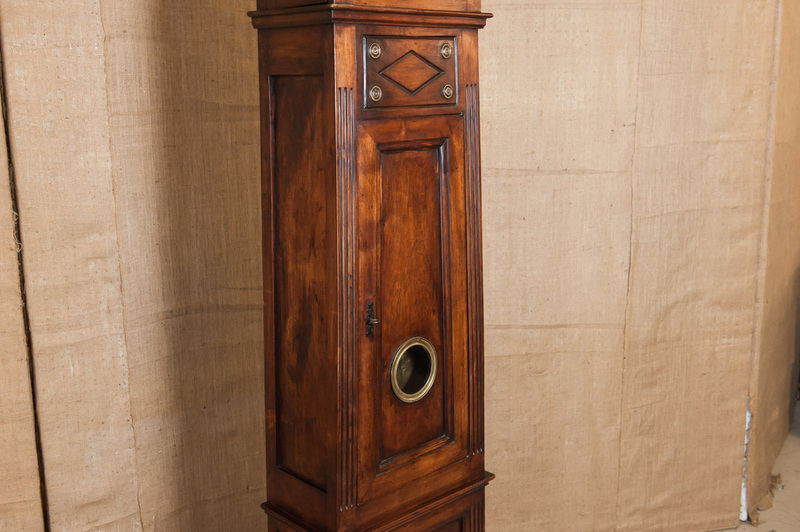 Circa early 1800s. 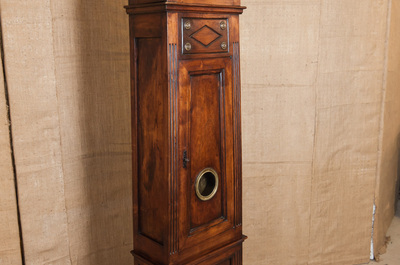 Walnut case. 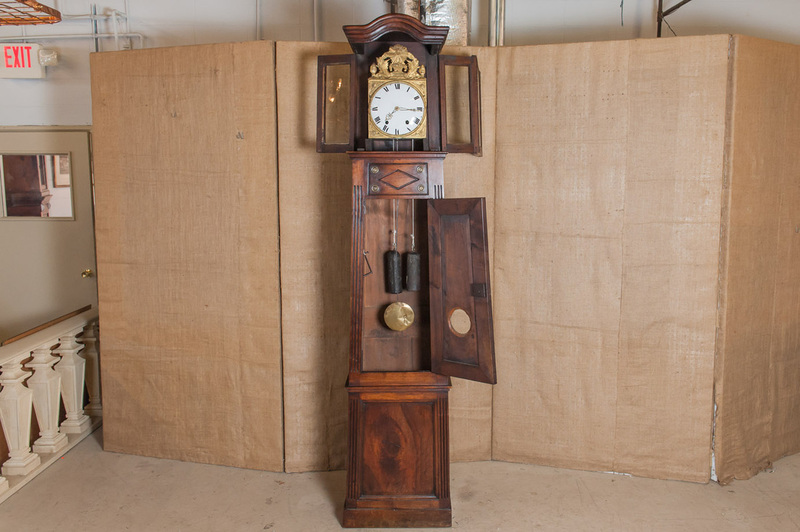 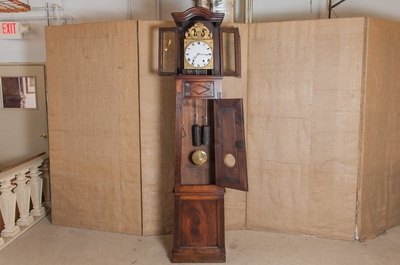 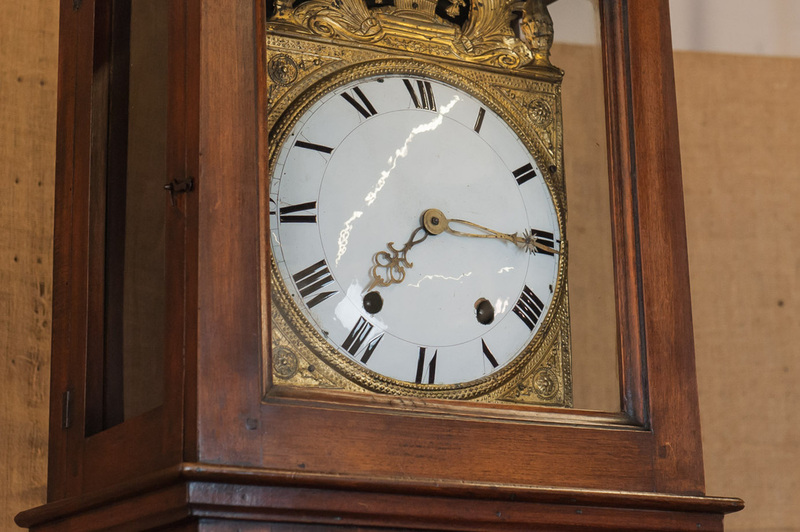 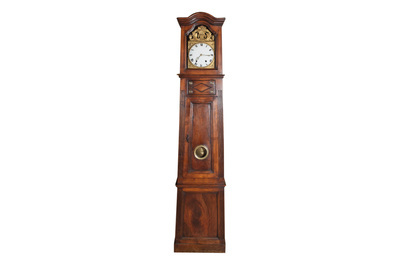 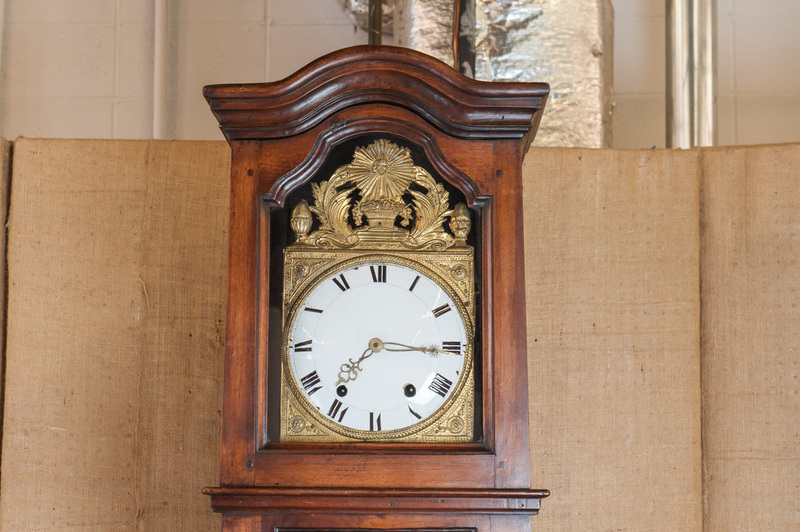 The case of this pretty, very graceful longcase clock was hand crafted with a chapeau de gendarme cornice over the dial case. It houses an enameled dial with Roman numerals and stamped brass hands. 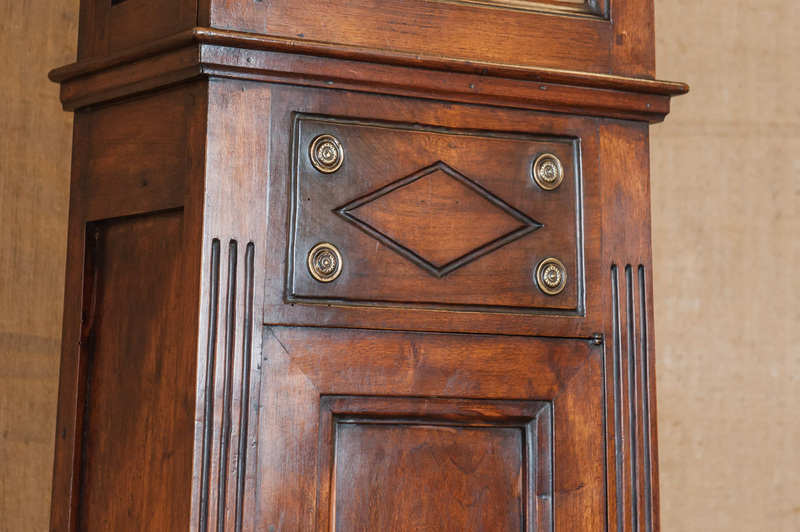 Pediment fronton of thin repousse depicts a pair of cornucopias, classical anthemion ornaments, a basket of flowers and a sunburst. 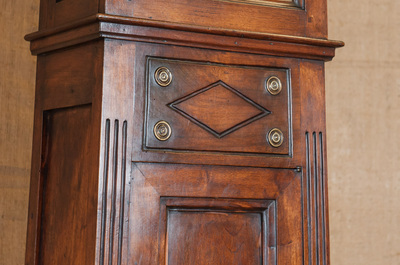 The lower case displays a carved diamante surrounded by brass medallions. All clocks in working order.